As the old adage goes, if you want something done, ask someone busy. 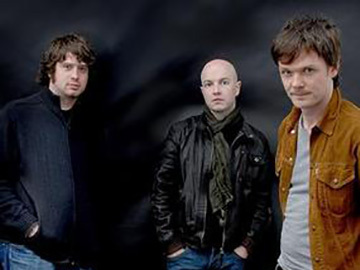 And if you want to hear some of the freshest, savviest, sweetest and most original songwriting around, look no further than three of the busiest musicians in Scotland, newly in cahoots as a trio: Kris Drever, John McCusker and Roddy Woomble. With their respectively distinguished pedigrees ranging freely across the folk and rock spectrum – and overlapping via several previous projects – each brings a wealth of diverse experience to the table, in a collaboration impelled primarily by that most magical of musical catalysts: pure enthusiasm.